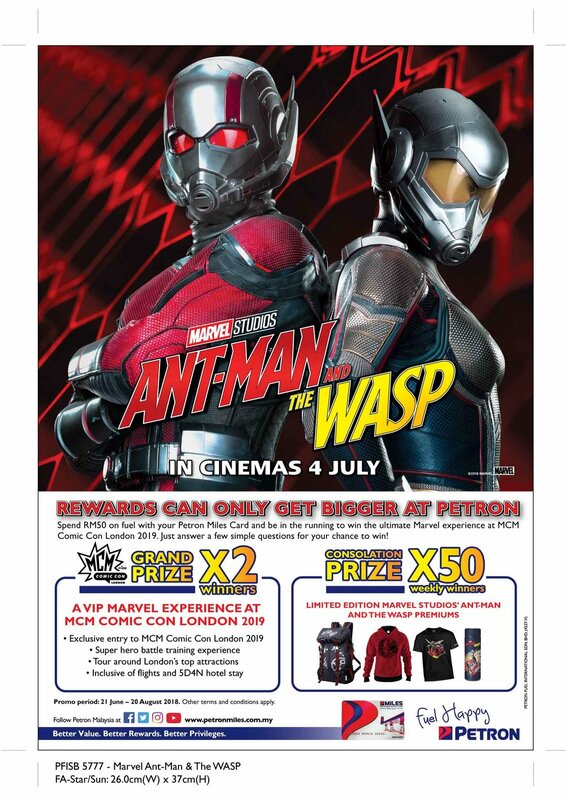 To celebrate the release of Marvel’s Ant-Man and the Wasp we’re working with Petron Malaysia to offer one grand prize winner and a friend to fly to London to attend London Comic Con. Winners will spend four nights/five days in one of the most diverse, vibrant and exciting cities in the world - London! Some of the world's best sights, attractions and activities are based here. Our winners will attend London Comic Con too. The shrinking technology Ant-Man and the Wasp use is very hi tech and so our winners are taking a high-tech adventure through London. 'Shrink' yourself just like Ant-Man and the Wasp as you experience the impressive technology that is 3D printing. Our winners will be scanned and printed into their own 3D mini figurine to take home! Winners will be sent their mini figurine once it is printed. Spend a day visiting all of the creepy crawlies in the Natural History Museum; a world-class museum where you can visit the creepy crawlies exhibition to see a live ant colony and a large variety of different wasp species. We're sending our winners up the very hi-tech Shard for both incredible views and to experience a quintessential British activity; afternoon high tea. Become a true super hero as you spend an afternoon at a martial arts fighting school learning the skills needed to fight in a battle like a super hero. Finally, experience the Marvel super heroes at Madame Tussauds! We have included a London Pass for our winners to experience all of the amazing attractions London has on offer for two days of our winner's stay.